I'm moving apartments in August yet again, only to turn around and move in December. This fall is my last semester in College Station and then I'll be back in DFW for student teaching. After moving 4 times (5 in December) in 3 years, I don't even remember what it's like to stay in one place anymore. There is a positive side to moving so much though. Each apartment is like a fresh canvas, ready to be brought to life. I've accumulated more and more things at each place and have really started to develop a decorating style, at least for now. One thing I'm lacking is some good couch pillows. I love an opportunity to bring in color, so when I spotted these placemats at World Market, I thought they would be a great fit. This honestly took me about a half hour to complete. And at only $4.99 each, (using recycled pillows) I think I made out pretty well with these two new additions to my sofa. You could totally do this project without a sewing machine, either by hand sewing or by using a product like steam-a-seam to bind the fabric together. Select a side and start ripping out the seam. Keep going until you have about a 6"gap, enough room for your hand to fit through. Pull out the stuffing from an older pillow. If you don't have any you're willing to sacrifice, try looking at a thrift store or purchase a fiber filling at a craft store. To avoid a lumpy look shred the fluffs by pulling them apart with both hands. Stuff, taking care to reach all corners and sides of the placemat. You can also use a recycled or store-bought pillow insert. This one fit perfectly for one of my pillows. And carefully sew the seam shut again. Remember you can hand sew or use steam-a-seam for this step. Until moving day they've found a place in my bedroom. And no-one will ever know it was once a placemat. Aren't I sneaky? Great up-cycle project! They make a beautiful finishing touch to your bed for now, and will be great couch pillows later. That is awesome and simple! Definitely something I can do! I just stumbled across your blog via your colour blocked dress tutorial I found on Pinterest....then I spent the next few hours reading through every single post...and i loved them all! I'm all inspired to go make something amazing, hehehe. OH MY!! What a great find! These are Beautiful!! I never would have thought to make them into pillows... such a smarty. Love that print. Great way to save money, because store-bought pillows can be unnecessarily expensive. Thanks! They look wonderful! Pillows are so darn expensive, this is a great alternative! Freaking genius! I always see super cute place mats but have no dining room table (we just moved last week!) Thanks for the cute idea! Super cute idea and the placemats you chose to use are very pretty. Great job. I'm your newest follower! hope you can check me out as well! SUPER cute! I had no idea that placemats were "hollow". I am going shopping tomorrow... maybe I will find some cute placemats to makeover! Thanks for the great idea. Sooooo cute! I saw those at World Market and loved them, but don't use placemats--now I wish I'd bought some! Those look great! You go to Texas A&M? I do too! 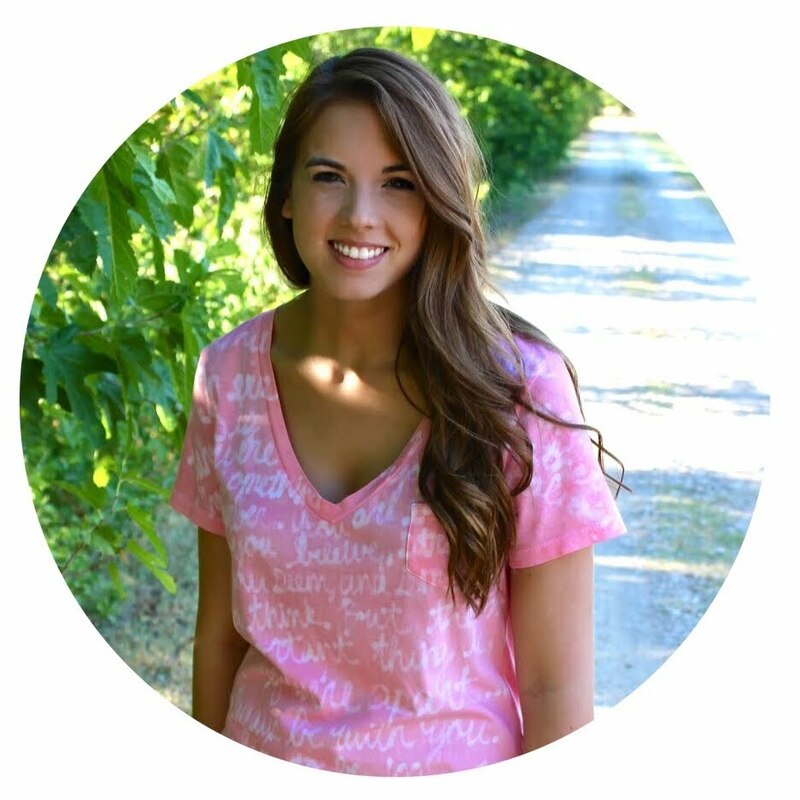 I read your blog and would love to meet you this fall! Very cute! I may be tempted to pull out my sewing machine! Didn't know placemats could be double sided either. At least the ones I've seen are not. Looks like something you could get at a really posh (meaning expensive) store. I tried this the other day after reading your tutorial. It turned out so amazing and my couch looks a lot more polished. The best part is it only took me about 10 minutes to do! Thank you for the great ideas and keep them coming! wow..... Its amazing..Good job Katy .Thank you so much for your wonderful post . I like your post very much.Its very helpful for our dally house work. 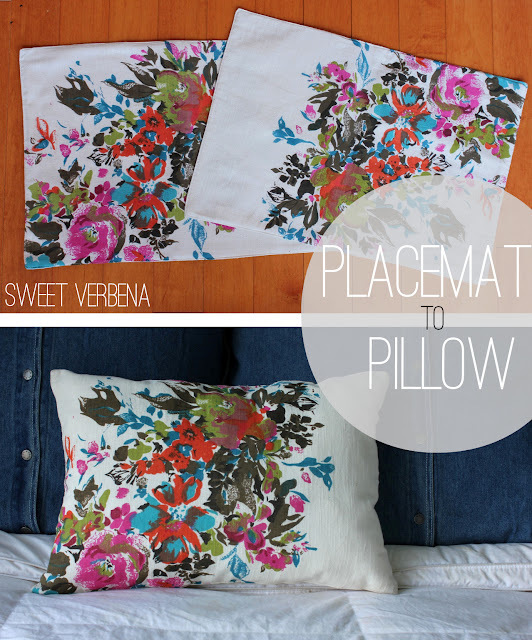 Great placemat pillows! And the fabric is wonderful! Thanks for the tutorial.